CHICAGO -- Eclipse Select Soccer Club forward Paige Jarsombeck has announced her commitment to play for Creighton University's women's soccer team. The Tinley Park, Ill., native and Andrew High School junior will join head coach Bruce Erickson's Bluejays in 2013. "I always wanted to go to a private and small school somewhere with a special education program, and I've always loved the city of Omaha," Jarsombeck said of the Nebraska school. "I've been there for soccer and loved it. After meeting with Coach Erickson and their team, I knew I wanted to go there." Creighton also was the school of choice for Eclipse Select defender and Darien, Ill., native Jessica Mutters, so she and Jarsombeck will continue their soccer careers as teammates in college. "We've played together for about three years, so it's cool to know that I will play alongside her in college," Jarsombeck said. "We practice with each other, and being teammates at Creighton is a bit of a coincidence. To know someone from Eclipse, I'm guessing that will probably help on the field because we know each other's game." GLENDALE, Ariz. – The U.S. Men’s National Team opened the year in dramatic fashion as Ricardo Clark tallied a game-winning goal seven minutes into second-half stoppage time for a 1-0 win against Venezuela at University of Phoenix Stadium in Glendale, Ariz.
VANCOUVER, Canada – The U.S. Women’s National Team rolled past a young and over-matched Dominican Republic side to open the 2012 CONCACAF Olympic Women’s Qualifying Tournament with a dominating 14-0 victory in a match played indoors at BC Place. The 14 goals set a U.S. WNT record for most goals in a game, breaking the previous mark of 12 established during back-to-back 12-0 wins in 1991 CONCACAF Women’s World Cup Qualifying against Mexico and Martinique. Second-half sub Amy Rodriguez tied an individual U.S. Women’s record with five goals (all in the second half) for her second career international hat trick. Abby Wambach (Oct. 23, 2004 vs. Ireland, also all five in the second half), Michelle Akers (Nov. 24, 1991, against Chinese Taipei in the FIFA Women’s World Cup), Tiffeny Milbrett (Nov. 2, 2002 in CONCACAF Women’s World Cup Qualifying) and Brandi Chastain (whose five came in that rout of Mexico on April 18, 1991) also have five-goal games to their resume. 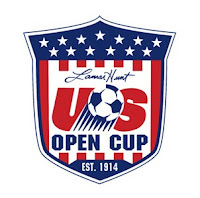 CHICAGO -- Eclipse Select Soccer Club alum and Clarendon Hills, Ill., native David Tiemstra is headed to Major League Soccer's San Jose Earthquakes. 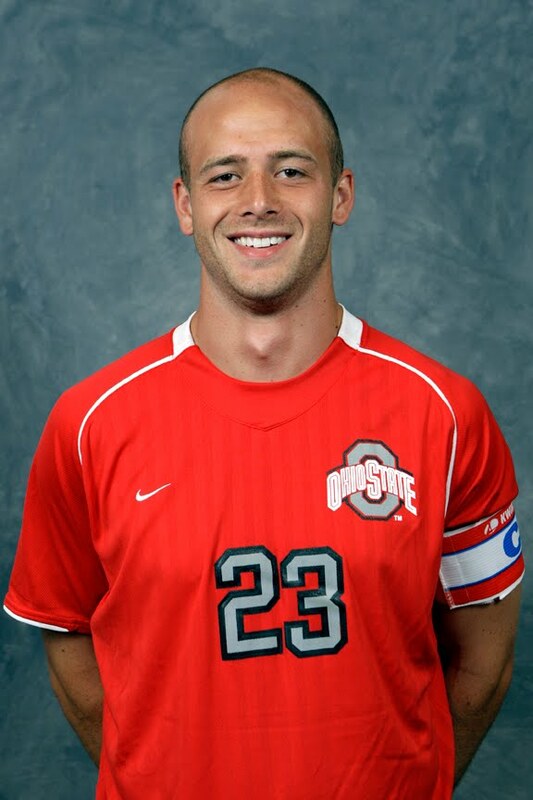 Tiemstra, a graduate of Hinsdale Central and a two-time Big Ten Conference Defensive Player of the Year out of Ohio State, was selected by San Jose during Tuesday's 2012 MLS Supplemental Draft. Tiemstra was the sixth pick in the third round (44th overall) during Tuesday's draft. The 19 MLS clubs picked a total of 75 players who were not selected during the previous week's MLS SuperDraft. For more Eclipse Select news, visit EclipseSelect.org. U.S. Under-23 defender and U.S. Soccer Development Academy alum Andrew Wenger out of Duke was the top selection by the Montreal Impact during Thursday’s MLS SuperDraft held at the NSCAA Convention in Kansas City. Three of the first five selections in the draft had Development Academy ties. The 2011 Hermann Trophy winner and ACC Offensive Player of the Year had 17 goals and eight assists last year, and he is the first Hermann Trophy recipient since Alecko Eskandarian (2002) to be taken first overall. The versatile Wenger was the ACC Defensive Player of the Year in 2010. Wenger told the ESPN crew that he would like to play in the midfield for the Impact. The 21-year-old Bill Hamid and 22-year-old Sean Johnson are prime examples of young talent hoping to get noticed during the U.S. MNT’s January camp. Both have taken on significant roles with their respective MLS teams and also trained abroad during the offseason in Premier League environments. Now they want to have an impact at the international level. 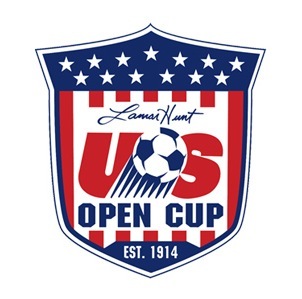 The 2012 Lamar Hunt U.S. Open Cup begins May 15, and with the 99th edition comes a multitude of changes. For lower-division teams, the most significant is the random selection process for determining home teams from the first round through the quarterfinals. In previous years, all teams pursued this opportunity through a bidding process. Now with a random selection process in place, the likelihood of a Division III team such as the USL PRO’s Richmond Kickers to host an MLS team should improve significantly. CHICAGO -- Eclipse Select Soccer Club alumna and Notre Dame freshman defender/midfielder Sammy Scofield (Geneva, Ill./Geneva) was one of 24 players named to the U.S. U-23 Women's National Team for a Jan. 15-22 training camp in Sarasota, Fla.
Scofield unites with newly-named U.S. U-23 WNT head coach Randy Waldrum of Notre Dame. 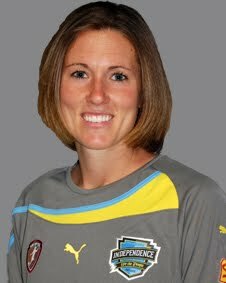 CHICAGO -- Eclipse Select Soccer Club alumna and former Notre Dame midfielder Jen Buczkowski (Elk Grove Village, Ill./Elk Grove) re-signed with Women's Professional Soccer's Philadelphia Independence, the team announced Friday. 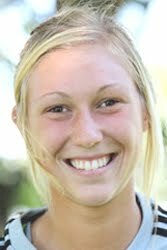 Buczkowski was named to the 2011 WPS Best XI and was named the team's 2011 Ironwoman after logging every minute of the 18-game regular season last year. "I'm so thankful and happy to have re-signed with Philly," Buczkowski said in a team release. "[Owner] David Halstead and Coach [Paul] Riley have established an organization built on the right principles, and being a member of the Independence is something I take great pride in." Check out coach Scott Fonfara and Kristen Janicki chatting with ESPN Wide World of Sports following Saturday's 2-1 win over PWSI. 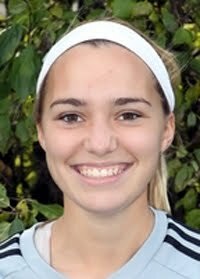 CHICAGO -- Eclipse Select Soccer Club forward/midfielder and Downers Grove North High School junior Summer Schafer announces her commitment to play for Memphis University's women's soccer team in 2013. "I think it will be a really exciting experience going to a college that not a lot of people from around here go to," Schafer said. "They play good soccer and it's really exciting to go play for another offensive team. It will make me a better player." The Oak Brook, Ill., native will be joining a Memphis squad that is coming off a program-best 22-1-1 record this past 2011 season and advanced to the second round of the NCAA Tournament. Memphis' offense posted a robust 62-13 scoring advantage. One big factor in Schafer's decision to join the Tigers is her view of the similarities between Memphis head coach Brooks Monaghan and Schafer's Eclipse Select coach, Mike Nesci. "He really reminded me of my coach now, Mike Nesci, and everything that he was saying is what my coach would say," Schafer said. "That was really the main reason, because both coaches have an offensive focus and I'm an offensive player."